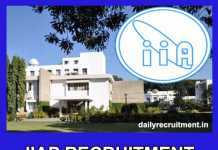 CFTRI Recruitment 2019: CSIR-Central Food Technological Research Institute has issued job advertisement for recruitment of Project Assistant post in various departments. There are 02 vacancies are allocated for these government jobs. It is going to conduct walk in interview for selection of suitable candidates. Eligible candidates may attend the walk in interview on 01.05.2019 & 03.05.2019 at given below walk-in venue address. PA job advertisement is available at CSIR CFTRI official website of www.cftri.com. This engagement is based on temporary basis. All aspirants should have received M.Sc or B.Sc or equivalent qualification from a reputed university and must have attained the prescribed age limitations. Bring all the original supporting documents for date of birth, educational qualification, caste certificate (if applicable) and experience certificates for verification along with your complete Bio-data at the time of walk in interview. For more information about CSIR-Central Food Technological Research Institute Recruitment 2019, candidates may check the official website @ www.cftri.com. 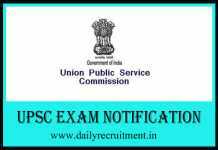 B.Sc/ M.Sc/ equivalent from any recognized university/ institution. Check more details of educational qualification in CFTRI official website given below. Check more details of age limitation in CFTRI official notification given below. Check more details of walk in interview in official job notification given below. Read the notification correctly to check your eligibility for CFTRI jobs 2019. CFTRI Recruitment 2019: CSIR-Central Food Technological Research Institute invites offline applications from young and talented aspirants. 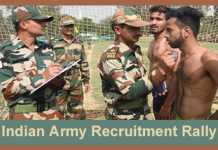 Recently it has released the recruitment advertisement for 03 vacancies. As per the CSIR CFTRI recruitment advertisement, these 03 vacancies are allocated for Research Associate & Project Assistants posts. Applicants who are looking for central govt jobs in Karnataka should send the filled application form to given address on or before the last date 22.04.2019 & 26.04.2019. CFTRI recruitment application form and notification is available in official website. 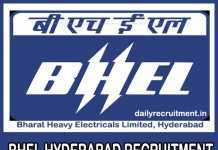 Candidate must have completed M.Tech/ M.Sc. in relevant disciplines from recognized university. Applicants should have prescribed age limit and relaxation. CFTRI will conduct interview for selection of suitable aspirants. After that selected candidates will be appointed at CFTRI, Mysuru. Offline applications only will be accepted. Applications received after the due date or incomplete applications will be rejected. More details of CFTRI exam date, jobs, upcoming vacancies, admit card, result and etc. will be available in official website. You may visit CSIR CFTRI Website to get more details about this recruitment. Here you will get information like educational qualification, age limit, application mode, fee and how to apply. Keep check www.dailyrecruitment.in regularly to get latest updates. As per the notification, overall 03 vacancies are allotted for this recruitment. Post wise vacancy details are given below. 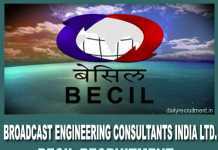 Candidate must have completed M.Tech/ M.Sc. in relevant disciplines from recognized university. RA: age limit should be 35 years. PA: age limit should be 28 years & 30 years. CFRTI will conduct interview for selection of suitable aspirants. Applicants can apply to this recruitment through offline. Go to official website cftri.com. Download application form then fill up the form correctly. Applicants who have fulfilled the above eligibility, those candidates can apply to this job easily. Do not miss the wonderful career opportunity in CFTRI. Aspirants kindly watch this page regularly for upcoming changes in CFTRI Mysuru job 2019. For more accurate information about this CFTRI Mysuru job notification, check their official website. CFTRI Recruitment 2019: CSIR-Central Food Technological Research Institute invites applications from young and talented aspirants. 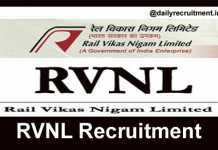 Recently it has released the recruitment advertisement for 25 vacancies. As per the CSIR CFTRI recruitment advertisement, these 25 vacancies are allocated for Technical Assistant posts. Applicants who are looking for central govt jobs can apply to this recruitment from 05.12.2018 to 03.01.2019. After that applied aspirants should send the print of the application form to given address on or before the last date 18.01.2019. CFTRI recruitment application form and notification is available in official website. Candidate must have completed B.Sc./ Diploma in relevant disciplines from recognized university. Applicants should have maximum 28 years as on 03.01.2019. CFRTI will conduct written examination and trade test for selection of suitable aspirants. After that selected candidates will be appointed at Headquarters in Mysuru or its Resource Centres located at Lucknow, Hyderabad and Mumbai. Applicants should make the payment through online mode only. Applications received after the due date or incomplete applications will be rejected. More details of CFTRI exam date, jobs, upcoming vacancies, admit card, result and etc. will be available in official website. Candidate must have completed B.Sc./ Diploma in relevant disciplines from recognized university. Candidate should have maximum 28 years as on 03.01.2019. CFRTI will conduct written examination and trade test for selection of suitable aspirants. Contenders should make the payment through online mode only. Applicants can apply to this recruitment through both online/ offline. Find the advertisement “Recruitment of Technical Assistants” click on the advertisement.